Being glued to a booth, I did not see as much of DAC as I would have liked. However, I still managed to see many old friends and meet a couple of new ones. That is what DAC has become for me – an event for renewing exisitng relationships and starting new ones. 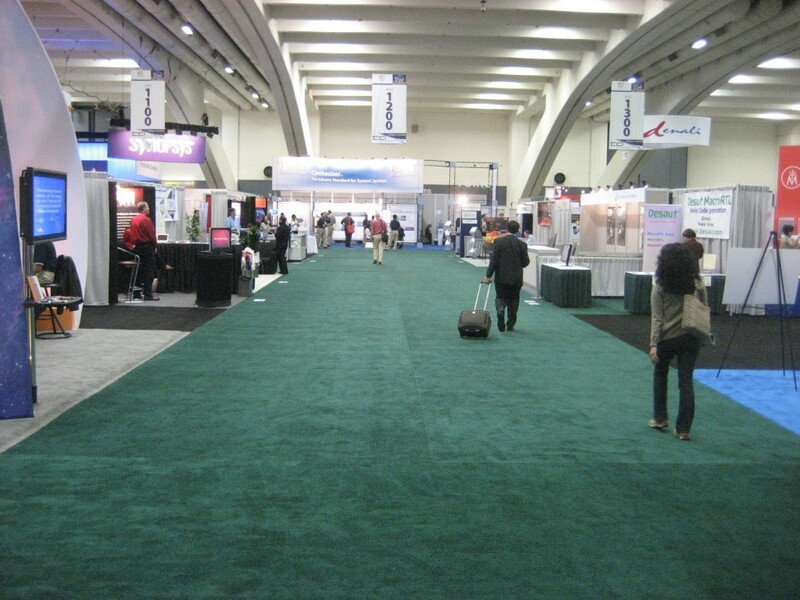 This social aspect of DAC was acknowledged in a track titled “Conversation Central” which had its own small room near the Synopsys booth. Sean Murphy, Harry Gries, John Cooley and others led sessions centered on communications and media. Unfortunately, I was able to attend only one of them. I have not seen the attendance numbers for this year’s DAC but it felt very low. This picture was taken about 11 am Wednesday. It looks like the exhibitors may outnumber the attendees. There were about twice as many people on free Monday. I can think of many reasons for the low turn out – but I would rather hear what you think. This entry was posted on Thursday, July 30th, 2009 at 4:40 pm and is filed under Conferences. You can follow any responses to this entry through the RSS 2.0 feed. You can leave a response, or trackback from your own site.